A hidden key unlocks an ancient castle’s door. As it creaks open on rusted hinges, the whisper of a dank, stale wind delivers this chilling warning: Death awaits you. Yet within these dark and ominous walls lies your quest. 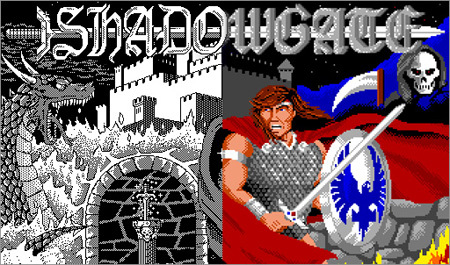 Welcome to Shadowgate, the living castle. Your destiny, as the last of a great line of hero-kings, is to stop the diabolical Warlock Lord before his black magic unleashed the hideous Behemoth and destroys the world. The original Macintosh AND Apple IIgs versions have been restored to their original glory! Come see where the world of first-person fantasy adventures started and experience the classic adventure as it appeared in 1987. 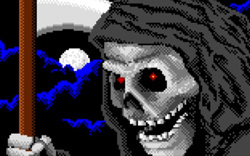 Two Original Versions: Get both the 128k black and white Macintosh version and the Apple IIgs 16-color version. First Person Adventuring: Over 50 game rooms of fantasy adventure. Save System: Save your progress at any time – create as many save points as you wish.